"I would like to be remembered not as anyone unique or special, but as part of a great team in this country that has struggled for many years, for decades and even centuries," he said. "The greatest glory of living lies not in never falling, but in rising every time you fall." "All these universes, humans, objects, thoughts and events are merely pictures moving on the screen of Pure Consciousness, which alone is real." Thoughts alone constitute the mind; and for all thoughts the base or source is the “I” thought. “I” is the mind. If we go inward questing for the source of the “I,” the “I” topples down. This is the jnana enquiry. To Read More of Ramana Maharshi's teachings, visit Sri Ramana Maharshi on Self-Enquiry. Giving a whole new spin to the term 'world music' -- A.R.Rahman spins his magic on an absolute scorcher, featuring Jordanian singer --Farah Siraj along with Nepalese Buddhist Nun Ani Choying. With the traditional Nepalese Buddhist hymn forming the base of the song, layered with a traditional Jordanian melody, and bridged seamlessly with composition written by A.R.Rahman, this song truly brings together diverse cultures and musical genres. Everything from the background vocals to Sivamani's percussion takes a big leap across musical styles and creates a storm of inspired rhythms, to give this track that extra flavour. Completely based around the theme of motherhood, compassion & ultimately happiness, this is the very first track of what promises to be an unforgettable Season 3 of CS@MTV! 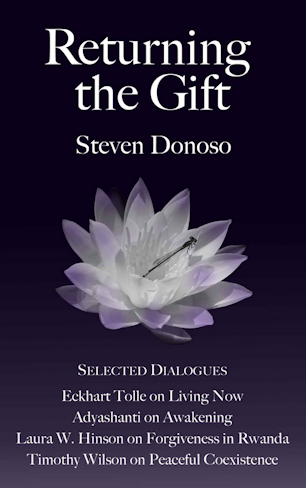 The collection of dialogues that author Steven Donoso has put together in his book Returning the Gift are enlightening and inspirational. Being very familiar with the spiritual teachings of Eckhart Tolle and Adyashanti, reading the dialogues in Returning The Gift was a refresher to those teachings. In it, Eckhart shines a light on the ways in which we create our own suffering. When Eckhart (2013) talks about “a conceptual sense of self” and how it is “threatened by other people” (p. 6), and our “collective story of ‘us’: our tribe, our religion, our nation” (p. 7), a couple of examples of how this gets played out, at the most extreme level, is the conflict between the Israeli and Palestinian people, as well as the Rwanda genocide, where Hutu extremists killed close to 3/4’s of the Tutsi civilian population. Whether it is a conflict within families, communities, or between different ethnic groups or nations, the stories that we tell ourselves and each other keep us in conflict with one another. Adyashanti explains (2013): "as egos we’re defined by our stories, our little arguments with what is, the ways we blame and shame, and all the little concepts, the little personal philosophies and belief systems” (p. 46). To forgive the unthinkable seems impossible, yet many of the Tutsis of Rwanda managed to do just that. The release of approximately 50 to 60,000 Hutus from prison and back into their communities left the Tutsis and Hutus with two choices, to either forgive and reconcile or to continue to fight (Donoso, 2013). Laura Hinson did an excellent job of raising awareness of the amazing forgiveness and reconciliation process that was occurring in Rwanda, during her visit in 2006, through her documentary film entitled As We Forgive. In Returning The Gift, she discussed the forgiveness and reconciliation process that was happening in Rwanda and explained what restorative justice is. We can even take it a step further and get to the root of the state of consciousness that planted and watered the seeds of hate, anger, and violence; otherwise, more atrocities will occur. The egoic state of consciousness states that I’m separate from you, on a different level, higher than you, more superior, or lower, inferior; and, on the most extreme level, does not even see a human being. It only sees an enemy, an obstacle that is must destroy. It is all delusion. But we cannot go back in time and erase what happened. We can only start from where we are, the present moment, such as Eckhart discusses in Returning The Gift. This is where forgiveness and reconciliation comes in. Returning The Gift can help us to wake-up to a whole new way of being in the world, of how we see the world, how we see each other, how we see ourselves in relation to one another, where we live in awareness, from our true nature, instead of our imaginary ego, where we would normally take sides. The Seeds of Peace organization has done an exceptional job of bringing together teenagers from opposing sides of regional areas of conflict, such as Israeli and Palestinian teenagers, where they can meet in a safe place and discuss the major issues that they are facing with one another back home. At the Seeds of Peace Camps, teens began listening to one another; and, gradually, they built up a better understanding and acceptance of each other, seeing each other as human beings, instead of enemies. The Seeds of Peace Camps have done what would otherwise seem as an impossible, futile endeavor, they brought together teens who have learned that, even though we may not have the same beliefs and we are not of the same ethnicity, we are all human beings, we can co-exist, we can respect our differences and share resources instead of fight for them (Donoso, 2013). If more people awaken or come closer to awakening to their true nature, to awareness, to selflessness, to living more consciously, compassionately, through reading this book, then everyone should read it. Donoso, S. (2013). Returning the gift [Adobe Digital Editions version]. 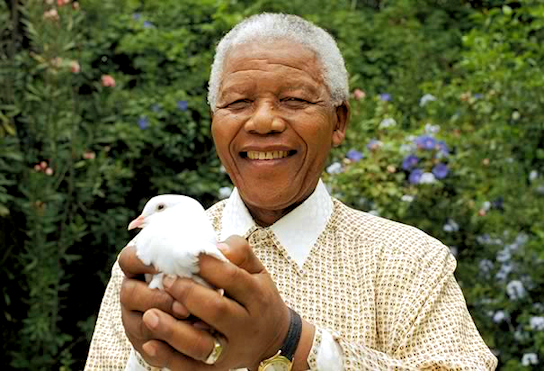 "Peace is your natural state. 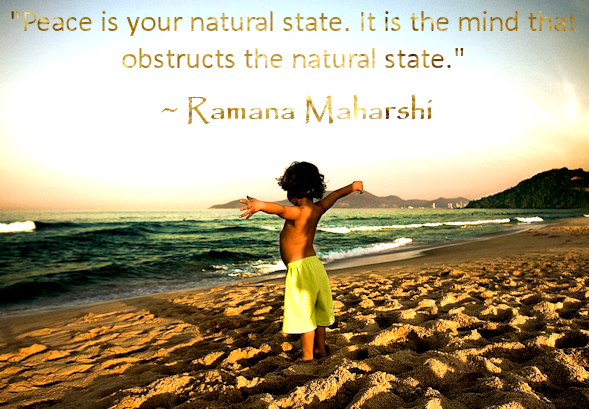 It is the mind that obstructs the natural state."